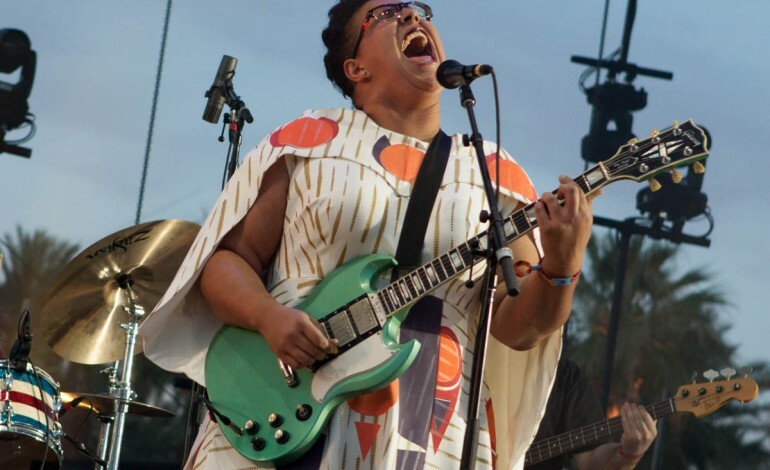 Alabama Shakes getting the twilight set on the Outdoor Stage. Bermuda Triangle released their brand new song called “Rosey.” A story about moving on and accepting yourself after a relationship ends. Brittany Howard from Alabama Shakes, Jesse Lafser and Becca Mancari created a song that really tells an amazing story. The crew came together recently in Nashville. They debuted live on July 12 at East Nashville’s Basement East. Since then, fans have been hoping for some new music from this soulful indie-folk supergroup. The beautifully produced song is accompanied by Lasfer’s soulful voice. NPR recognized The Bermuda Triangle’s new song available to stream from NPR Music. After the release of “Rosey” the Bermuda Triangle will be in the studio and getting ready for a few fall shows in October. They posted to their facebook account that their show in Nashville was a hit. They had so much fun that they decided to go for short roadtrip in the southeastern portion of the united states. They are starting it off in Atlanta and traveling throughout making stops in Birmingham and then back north to Knoxville. Their last two stops are going to be in North Carolina. The first stop is in Asheville at The Orange Peel featuring Music Band as an opener. The next day they will be at The Cat’s Cradle in Carrboro. That’s going to be the show to end a week of non-stop fun. They made the announcement on their social media pages yesterday. Go visit their page for the ticket information. The band came together in July of this year. The three ladies posed for a spontaneously candid photo while lounging at a table after a fun evening. That photo was posted around all of their social media accounts giving fans a small hint of what’s to come. Mancari and Lafser are legends of their own in the mid-South. Combined with Alabama Shake’s Americana music, the three women would hang out and play music regularly. In areas that are rich in musical talent and abilities, like Nashville, it’s common that the artists team up.